When it’s been foggy for three days leading up to a three-hour photo op, you’ve got to count on luck to get you in the sky—and a lucky Lightning saves the day. Like the Phoenix rising from the ashes John Bagley’s P-51, after suffering a terrible crash, is reborn into a pristine Mustang. Getting 17 B-25s together to honor the 68th anniversary of the Doolittle Raid was almost as complex as the raid itself. How an idea formed up into a touching tribute. 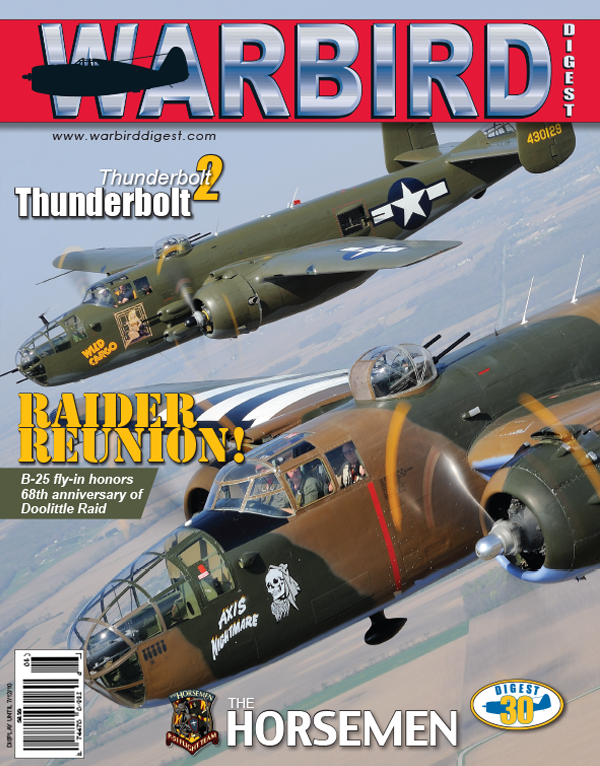 An intimate look into the making of the most talked about warbird flight team in the world. Sixty seven years later, America formally honors the members of the Women’s Airforce Service Pilots.